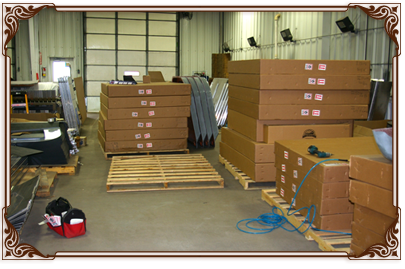 Prairie Technology provides a full service shipping department to streamline the order process. 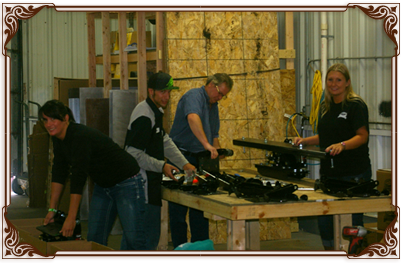 We maintain a large inventory of parts and kits so we can normally ship your order within 24 hours. We utilize LTL carriers, parcel, and can provide overnight delivery upon request. The customer is responsible for and charged for all shipping costs. All of our freight is custom packaged by hand in our shipping department. We utilize boxes that are hand crafted by our staff to fit your specific shipment. Each order is checked and then double checked to insure that all components and hardware for your order is included the first time. We work with our designated shippers to find the best price for you while maintaining the most reliable and dependable transportation means for your package. Due to our large volume and custom packaging, we are able to achieve better rates than any of our competitors. We will track your order to ascertain where it is in the transportation pipeline to insure that it is delivered to you on time. When problems arise, we will aggressively work on your behalf to mitigate any delivery issues. Please call or email us for your custom freight quote. We understand that the quality of your kit is important, but that it also needs to get to you on time and in one piece with all components intact.